The Holocaust was the systematic, bureaucratic, state-sponsored persecution and murder of approximately six million Jews by the Nazi regime and its collaborators. "Holocaust" is a word of Greek origin meaning "sacrifice by fire." The Nazis, who came to power in Germany in January 1933, believed that Germans were "racially superior" and that the Jews, deemed "inferior," were an alien threat to the so-called German racial community. All information and pictures provided for this site can be found and referenced through the links provided. Statistics now show that two out of every three European Jews had died during the Holocaust by 1945. Adolf Hitler, who ruled Germany for 12 years, which resulted in millions of deaths in World War II, including the holocaust, is regarded as one of the most despicable men in history, with his name becoming synonymous with evil. Given below are some facts about Adolf Hitler. The Nazis wanted to eliminate Jews and other communities was that that they believed that Germans were Aryans � a superior race � and that this race�s survival was compromised by the existence of �inferior races� such as Jews, gypsies and disabled people who held economic progress back. Their existence, in their minds, was a biological threat to the purity of the Aryan race. This made their extermination necessary. The Nazis held the Jews responsible for Germany's defeat in World War I, blamed them for its lack of economic progress, and the proliferation of Communist parties in Europe, too. 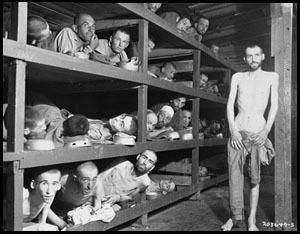 The Holocaust began with Hitler's rise to power in January of 1933 and ended on VE Day (May 8, 1945). During this time, more than 6 million Jews and millions of other groups caught the negative attention of Nazi Germany. While all the murders were devastating to native populations, none were so devastating than that of the Jews. During this period, 5,000 Jewish communities were wiped out and the total that died represented 1/3 of all Jewish people alive at that time. Due to a series of events, Hitler assumed dictatorial powers in March 23, 1933 when the Enabling Act was passed. With total power available to him, he quickly developed a sophisticated police and military force and used them to squelch anyone who criticized his authority. From this authority stemmed the first concentration camp, Dachau, just outside of Munich which started as a political prison camp but evolved over time into a full scale Nazi concentration camp to exterminate Jews and others. By the end of 1934, Hiter's campaign against the Jews was in full force. Those who could fled Germany to other European countries which gave them safety for a while. They finally developed a more �efficient� method for killing large numbers of people. They established six extermination centers in occupied Poland and began the wholesale murder that now typifies all accounts of the Holocaust. The Nazis deported those marked for extermination to these centers from Western Europe and from the Eastern European ghettoes established by the Nazis. Millions of others died in these ghettos and concentration camps because of forced labor, starvation, exposure, brutality and disease. Germany started World War II with the invasion of Poland in September of 1939 and in 1940 established Jewish ghettos in Poland where they could be isolated from the rest of society and kept an eye on. Conditions in the ghettos were deplorable - not enough food, water, space, sanitation facilities, etc., and many died from the horrid conditions. In June 1941, Germany attacked the Soviet Union and began the implementation of the Final Solution - the beginnings of the systemized destruction of the undesirables. At first they were just gathered up, shot and thrown into mass open graves. It is estimated that over 1 million people died in this manner. But it wasn't efficient enough so more and more death camps sprang up. From this point, the Germans worked on more and more efficient ways to liquidate the undesirables by bringing them to death camps to systematically kill them and recycle any valuables for the war effort. And in this instance, a valuable was a healthy person - so the Germans would work the prisoners until they had no more energy to produce and then kill them. In effect, that had millions of slaves being forced to work to death to help the Germans in their war efforts. This atrocity continued to the end of the war - with liberation not happening until July 1944 and later. In July 1944, the Soviet Union liberatated Maidanek concentration camp and then in January 1945 - Auschwitz concentration camp and so on until Nazi Germany was totally defeated and all peoples were freed. All told, there were only about 200,000 Jewish survivors by the end of the liberation and the death counts from the holocaust were estimated to be around 6 million Jews and millions of other people who did not fit the Aryan mold. 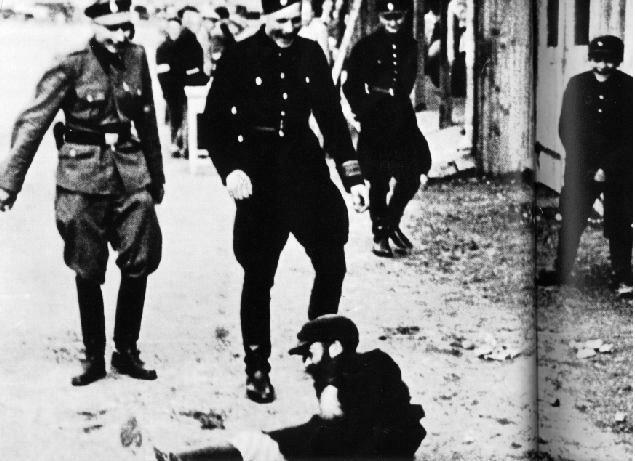 Leading up to the 1933 elections, the Nazis began intensifying acts of violence to wreak havoc among the opposition. With the cooperation of local authorities, they set up camps as concentration centers within Germany. One of the first was Dachau, which opened in March 1933. These early camps were meant to hold, torture, or kill only political prisoners, such as Communists and Social Democrats. These early prisons�usually basements and storehouses�were eventually consolidated into full-blown, centrally run camps outside the cities. By 1942, six large extermination camps had been established in Nazi-occupied Poland. After 1939, the camps increasingly became places where Jews and POWs were either killed or forced to live as slave laborers, undernourished and tortured. It is estimated that the Germans established 15,000 camps in the occupied countries, many of them in Poland. New camps were focused on areas with large Jewish, Polish intelligentsia, communist, or Roma and Sinti populations, including inside Germany. The transportation of prisoners was often carried out under horrifying conditions using rail freight cars, in which many died before reaching their destination. Extermination through labour, a means whereby camp inmates would literally be worked to death�or frequently worked until they could no longer perform work tasks, followed by their selection for extermination�was invoked as a further systematic extermination policy. Furthermore, while not designed as a method for systematic extermination, many camp prisoners died because of harsh overall conditions or from executions carried out on a whim after being allowed to live for days or months.